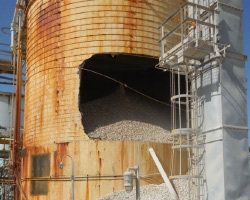 Silo Cleaning & Silo Maintenance | USA Silo Service, Inc.
USA Silos maintains a reputation for cost effective, expedient on-site silo cleaning services with minimal downtime. Our process begins with planning, followed by a coordinated process to apportion labor and materials, and a continuous examination of job site safety and security. You can expect a proper clean-out and thorough follow-up at the job site before we return your silo to its proper operation. Our work on your job site is based on personnel safety and professional deployment of tools and processes unique to our services. Our experienced crews bring a skilled team-oriented approach to your location only after our off-site planning is complete. This process minimizes downtime, accelerates silo cleaning or repair, and assures operational safety from job start to completion. 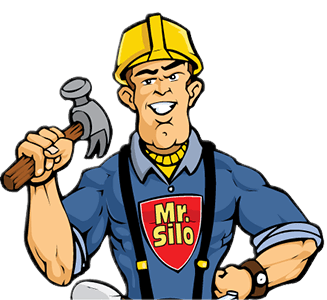 "I continuously count on USA Silo Service for all my silo cleaning needs."